You wouldn't normally expect to combine decision-making about local funding with a full pipe band on Burns night. But when decisions are put in the hands of the community, anything seems possible. Glasgow Community Planning Partnership has been investing in community budgeting (also known as participatory budgeting) and has provided more than £108,000 for the latest round of events in seven of Glasgow's Area Partnerships for local communities to bid into. PB Scotland attended the Govan community budgeting event on the 25th January 2017 at Clyde Community Hall in Ibrox. Bailie Fariha Thomas, who introduced and facilitated the event, was delighted that £25,000 was to be distributed on the night, more than any other neighbourhood partnership. This was due to 'top up' funding from the city's Poverty Leadership Panel and the Rangers Charity Foundation. 19 projects were there to bid for funding, each presenting in front of a full hall. Proposals included Govan Heritage Trust's request for £722 to purchase period costumes and equipment providing young people with opportunities to learn about Govan's past through costume based workshops. Another project, Family Addiction Support Services, bid for £2500 to support the purchase of a caravan providing respite breaks for families affected by addiction. Local people who attended the event used an electronic keypad to score presentations as they were delivered. Participants scored projects from 1-5 with 5 being the highest score. Votes went straight to a computer, enabling an instant result to be announced once all the presentations had been delivered. Participants were also entertained by live performances from Ibrox Primary School, who endearingly read and sang Burns poetry, and from Govan School Pipes and Drums Association, who shook the hall to its rafters while the final count was being computed. Most projects received the full amount of funding they had requested and every project went away with some funding. PB Scotland spoke to a number of voters who were unanimously positive about the event. Stuart Roxburgh from Craigton Community Council described himself as active in the community, and contrasted the high level of community involvement at the event with other decision making processes and public events he had attended. Stuart had taken part in the previous Govan community budgeting event and was particularly impressed by the use of electronic voting this time round. Electronic voting, he commented, wasn't without its challenges (such as a drop in numbers voting for later presentations) but it made for a much smoother process. "Last year you got to gauge projects together at the end but the voting took forever"
Unlike Stuart, long-time Govan resident Rhona Clugstone had little experience of public events and was attending to support her two daughters who were performing in the pipe band. Rhona admitted that she probably wouldn't have come along had it not been for her daughters' performance. However, having experienced the community budgeting event, she was likely to try and attend future such events. "This has been really good so far. Usually this sort of decision making is done by councilors and people that take it out of our hands"
We also spoke to Scott Mowat, Deputy Head of Ibrox Primary who had proudly watched pupils perform and present during the evening. He thought community decision making on public funds was a good idea, and added that the pupils' experience of taking part meant they could potentially transfer what they had learned to their own projects in the future. People we spoke to felt that the electronic voting process had worked well. It made it faster and easier for results to be provided on the evening than the manual voting and counting process that had been used previously in Govan. No voting process is perfect, and some in the room wondered if projects presenting later on in the evening were disadvantaged if people left early. At the same time, it is impossible to know if absent voters would have scored presentations higher or lower, and any effect on a project's average score is likely to have been minimal as a result. Another observation was that the total money available was not much higher than the total money requested, which is the reason that most projects were funded the full amount they had hoped for. It is hard for organisers to counter this issue since, aside from promoting the event, they cannot control how many proposals are made and how much is requested by each project. Importantly, community (or participatory) budgeting gives community members direct decision-making power and enables them to learn about projects in their area and how they are funded. Despite being daunted at first, presenters seemed to enjoy the experience of telling their Govan neighbours about their work. Bailie Fariha Thomas worked hard to ensure that the event was a celebration of lots of the positive work going on every day in Govan. Attendees couldn’t help but come away from the event knowing more about what’s happening in Govan as well as having had a say in who gets funding - raising the bar another notch for participation. 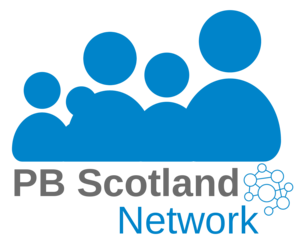 Read more reports from PB events in Scotland.